Editor’s note: Wirecard has replied to questions posed several weeks ago, and their answers are found throughout the text and at the bottom of this story. Wirecard AG is the luckiest company you’ve never heard of. It has the good luck of a boxer who’s a master of bobbing and weaving in the ring, making it difficult for an opponent to land a punch. Prizefights, though, typically go for all of 10 or 12 three-minute rounds. Yet for 10 years a combination of short sellers, journalists and forensic research consultancies (whose clients often include short sellers) have publicized a long list of concerns about Wirecard’s operations, to little avail. Editor’s Note: In the original version of this story, the number given for DaVita’s U.S. patients was incorrect. According to the company’s third-quarter 10-Q, it is 194,600, not 214,700. Additionally, a reference to a published report that provided an inaccurate estimate of the combined Fresenius and DaVita market share was deleted. Veteran card players pride themselves on the ability to discern what’s known as “the tell,” the series of involuntary mannerisms that can betray a rival’s strategic deceptions and even suggest a possible next move. Then there are those rare occasions when a tell metastasizes into a red flag, a clear indication that something is terribly wrong. If you put together all the chief executive officers from the financial services industry in one room and asked them, “Who looks back on the years 2007 to 2009 with fondness?” it’s a very safe bet that only one hand would be raised. That hand would be on the arm of a man named Gregory Garrabrants. Don’t feel badly if the name doesn’t ring a bell because the institution Garrabrants has run since October 2007, BOFI Federal Savings, a La Jolla, California-based bank, is about as unlikely an institution to have prospered in those years as can be imagined. As banks, thrifts and mortgage-finance companies were busy collapsing or receiving multiple federal bailouts, especially in Southern California (the epicenter of the global financial crisis), BOFI was just beginning an earnings streak that’s seen its bottom line grow at a compounded annual rate of 44 percent since Garrabrants was hired. BOFI Federal Bank’s disclosure practices seem baffling at best if the standard it’s judged by is how well it informs investors about developments that could potentially change the risk profile of their capital. In fairness to BOFI, the key word here is “baffling” since the laws governing U.S. corporate disclosures have few bright lines and a great deal of murkiness. As Steven Davidoff Solomon noted in an New York Times column, the Supreme Court upheld in 2011 a previous ruling that if “disclosure of the omitted fact would have been viewed by the reasonable investor as having significantly altered the ‘total mix’ of information made available,” a public company’s failure to reveal certain information is considered “material” and could potentially subject it to civil and criminal investigation. Left unsaid is the fact that companies may have their own opinions on who’s a “reasonable investor” and what he or she might consider “significant.” Hint: Companies often find ways to claim news that would prompt probing phone calls from investors and reporters isn’t significant enough to merit disclosure. Editor’s Note: Marc Cohodes, through a charitable trust he controls and in conjunction with a conference appearance, recently made a $15,000 donation to the Southern Investigative Reporting Foundation. This interview was conducted and published prior to the donation being made. He was not a source for our reporting on BOFI. In the evening of Aug. 8, 2016, a retired hedge fund manager named Marc Cohodes was puttering around the house on his Cotati, California, farmstead when he received a most unusual phone call. The caller was Polly Towill, a partner with Los Angeles’ Sheppard Mullin and, according to Cohodes, she got right to the point: She was calling on behalf of her client, La Jolla, California-based BOFI Federal Savings Bank and she was authorized to explore retaining him as a consultant. The velocity of the destruction of Synchronoss Technologies investors’ capital is brutal to behold: In less than four months, the value of their investments has been halved. There’s a reason for that. On Dec. 6 Bridgewater, New Jersey-based Synchronoss announced an unusual pair of transactions that radically altered its business model just weeks before the end of its fiscal year: It paid twice the then price of shares to merge with the public company Intralinks and simultaneously sold the mobile-phone activation unit, which was responsible for almost half of annual sales for Synchronoss. This prompted the Southern Investigative Reporting Foundation to take a hard look at the company’s shift in strategy, whose sheer complexity masked some troubling details. Valeant Pharmaceuticals International, the corporate poster-child for price-gouging, tax-inversion and hedge-fund manager wealth destruction quietly severed all ties with J. Michael Pearson, its former chief executive officer and longtime guiding light, in January according to its annual proxy statement filed this morning. While Pearson stepped down from Valeant in May 2016, and struck a wide-ranging separation agreement that paid him $83,333 per month for consulting–especially the much-touted and at least temporarily disastrous Walgreens contract–his primary job was to cooperate with the seemingly eternally expanding roster of civil and criminal investigations. The deal with Pearson was supposed to last through this December and the use of the word “initial” in the contract’s wording was a suggestion it might be renewed. Valeant, in the Proxy, says it last paid him in October, and in December its board of directors determined no more payments would be made: “In December 2016, the Board determined that we are not in a position to make any further payments to Mr. Pearson, including in connection with his then-outstanding equity awards with respect to 3,053,014 shares.” Pearson’s agreement was terminated in January, for unspecified reasons. By any measure Tuesday December 6 was an extraordinary day for Synchronoss Technologies’ shareholders and employees. They woke up owning a stake in a company with a market capitalization above $2.2 billion, whose core software enabled consumers to activate, synchronize and store their mobile phone data. By day’s end, however, Bridgewater, N.J.-based Synchronoss had purchased IntraLinks Holdings, an unprofitable data-room developer for almost twice its then share price and said that it had struck a deal to sell its legacy business, the mobile-phone activation unit, in two stages — 70% immediately and the 30% remainder over the course of the next year. Topping it off, Stephen Waldis, the company’s founder and chief executive, took the unusual move of stepping down to let Ronald Hovsepian, IntraLinks’ CEO, run the newly combined venture, though he’s remaining on the board of directors with the title of Executive Chairman. Synchronoss marketed the effort as “Accelerating a Strategic Transformation”; investors just called their broker and sold, sending the stock price to $42.59 from $49 the day before, and erasing more than $290 million in market capitalization. For much of the past two decades Canadian National Railway Co. has been credited with revolutionizing the North American railroad industry. The company’s former chief executive E. Hunter Harrison’s theory of “precision railroading” — a data-driven focus on charging customers a premium for superior on-time performance — made him an industry icon and his shareholders very happy. But in railroading, as in life, how you get there matters. Acting on a tip, the Southern Investigative Reporting Foundation began investigating Canadian National in the fall of 2014. John F. Barry III, the founder, chairman and chief executive of Prospect Capital, a Manhattan-based business development company, can’t seem to get any respect. In June 2015 Prospect took out an advertisement in Barron’s that sought to attract more investors by touting its then 12.4% dividend yield and the share price promptly dropped. A shareholder wrote a tongue-in-cheek essay calling Prospect “The most hated stock on Wall Street.” Over the past six months both the Wall Street Journal and New York Times have written critically–to varying degrees–about the company’s portfolio valuation and dividend payment practices. Not to be outdone, short-sellers, who have had the company in their sights for nearly five-years, are broadcasting their own list of grievances about Prospect’s operational and accounting disclosures. Posts about the company or its prospects go up on Seeking Alpha nearly weekly and attract dozens of commenters who weigh in with full-throat for days at a time. The Southern Investigative Reporting Foundation launched in 2012 with the goal of providing in-depth financial investigative reporting for the common good. 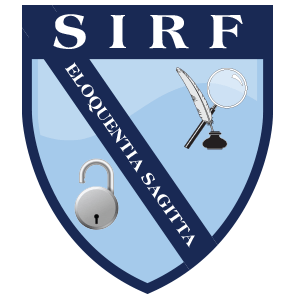 Sign up to get an email alert when SIRF posts new investigations .